‘To safeguard the rights, privileges and interests of Advocates’- this is one of the functions of the Bar Council of India , as stated in the Advocates Act. Hallowed function, indeed! This ought to mean that the Bar Council is representing the interests of Advocates. But when the Bar Council itself is not a representative body, how can it claim to represent the rights and interests of advocates. It can only be a formal representation without any moral backing. 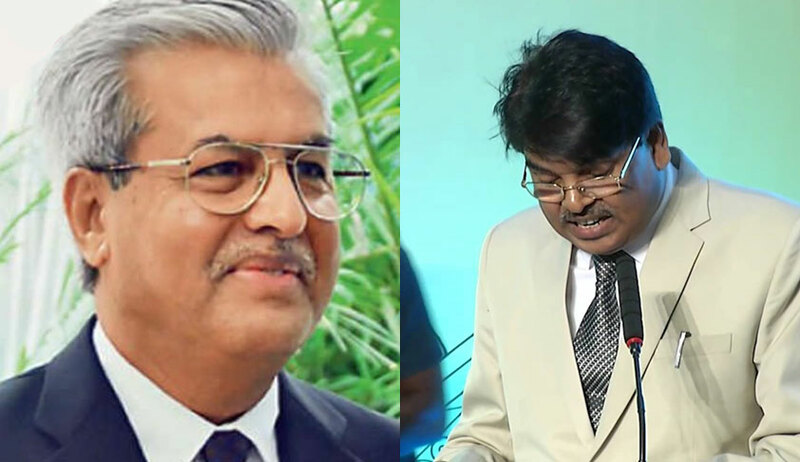 The debates surrounding Bar Council elections have started to gain momentum in view of the statements made by Senior Advocate Dushyant Dave that Bar Council of India was a body which has not held elections for years under some pretext and Mr. Mishra continues to occupy the position as Chairman unduly. Mr. Dave was responding to the news that BCI had sent him a show-cause notice against him for his remarks that the Supreme Court collegium had succumbed to executive pressure while ordering transfer of Justice Jayant Patel from High Court of Karnataka. The unfortunate fact is that elections to at least fifteen State Bar Councils have been put on hold for more than past two years, and that the governance of Bar Councils is carried out by nominated ‘Special Committees’. The State Bar Councils are supposed to comprise elected members from among the advocates enrolled with the respective Bar Councils. The term of office of elected members of the Council is for a period of five years (Section 8). Each State Bar Council elects one member from among its members to the Bar Council of India. Thus, the Advocates Act contemplates a method of direct election by advocates to the State Bar Council, and a method of indirect election to the Bar Council of India. The Bar Council of India has one each elected member from nineteen states(state bar council having less than 5000 enrolled advocates do not sent members to BCI). Apart from that the Attorney General of India, and the Solicitor General of India are ex-officio members of the BCI. It is reliably learnt that the term of office of members of fifteen State Bar Councils expired two years ago. However, no elections have been held till now to elect new members. The governance of such Bar Councils is being carried out through an ad-hoc arrangement by nominating a Special Committee under Section 8A of the Advocates Act. As per Sec.8A, if there is failure to conduct elections, the BCI can constitute a Special Committee to take charge from the date of expiry of the term of elected members. The Chairman of the Committee will be the Advocate General of the State, ex-officio. The other two members of the Special Committee are nominated by the BCI from amongst the advocates on the electoral roll of the State Bar Council. In the fifteen states where the term of members have expired, the duties and functions of State Bar Council are being discharged by the Special Committees constituted by BCI. The Special Committee is originally contemplated as an ad-hoc arrangement. But now it has sort of assumed a permanent character, with its continuance in fifteen states for more than two years. So the present state of affairs is that the Bar Councils are totally governed by nominated members, as opposed to elected members. The term of office of the members of BCI who got elected from the State Bar Councils is co-terminus with their term of office in the State Bar Council. So, the term of office of fifteen members of BCI have automatically expired, on expiry of their term in the State Bar Council. For example, the Chairman of the Bar Council of India, Senior Advocate Manan Kumar Mishra is elected from Bar Council of Bihar, and his term Bar Council of Bihar have expired long ago. So naturally, his membership in BCI also should expire. However, the members of BCI are continuing on the basis of proviso to sub-section(3) of Section 4 of the Advocates Act, which states that every member of BCI shall continue to hold office as a member of the Bar Council of India until his successor is elected. So, we have a curious situation wherein elections of State Bar Councils have been put on hold for more than two years, and the members of BCI whose term have already expired are holding onto office due to failure to elect succeeding members. The BCI is not just undemocratic in form, but in action as well, as revealed from its response to Mr Dushyant Dave. The press release by the BCI to the media is bizarrely worded, belying a knee-jerk response in a manner not behoving well for a body claiming to be representing advocates. It says that the Council has decided to issue show-cause notice. The Advocates Act does not empower the BCI to initiate disciplinary proceedings as an original authority. So the BCI does not have any power to initiate disciplinary proceedings. If at all the remarks are regarded as disrespectful amounting to misconduct, the authority to initiate disciplinary proceeding is the Disciplinary Committee of the concerned State Bar Council and not the BCI. The unilateral manner in which the BCI has decided to issue show-cause notice without any hesitation is quite unfortunate, especially so, when a large section of the advocate community seem to be disapproving the decision of the collegium. Many State Bar Councils have protested the transfer order issued to Justice Jayanth Patel. The Karnataka State Bar Council has resolved to protest the transfer by boycotting Courts on October 4th. The Gujarat High Court Advocates Association and the lawyers in Bengaluru have written letters to the CJI seeking reasons for the transfer of Justice Patel. So, Mr. Dave was merely expressing aloud the feelings shared by a large section of advocates in the matter. Therefore, the matter required a lot of discussions and deliberations at the instance of BCI. The BCI had to take the legal fraternity into confidence before taking a stand in the issue. But when the body ceases to be representative, all that is too much to ask for. The press release further states that the Chairman has clarified that the Council may not agree with the decision of collegiums with regard to Justice Jayant Patel and it may join hands with the Gujarat High Court Advocates Association in the legal proceedings. The self-contradiction is very evident in that the Council is not repudiating the criticisms levelled by Mr. Dave wholly; yet, when it comes to taking a stand in the matter, the BCI chooses to be tentative and vacillating. The never ending process of certificate verification. The delay in holding elections is sought to be justified on the reason that verification of certificates of lawyers to weed out bogus and dormant lawyers forming the electoral roll is not yet complete. The verification Rules were brought in 2015, and the process is going on at snail’s pace. Some sources allege that the verification process is nothing but a ruse projected by the BCI to stall elections. Mr. Dave also seems to be suggesting this when he alleges that the elections are put on hold on some ‘pretext’. Anyhow, the Supreme Court has intervened in the matter, and has given an ultimatum to the BCI to complete verification process and finalization of electoral roll by December 31st 2017. Hopefully, this might pave way for expedition of much delayed elections. Advocacy is cherished as a noble profession as it involves standing up for the rights and liberties of others and upholding rule of law and democratic values. But when a ‘representative’ body of Advocates shies away from standing up for democratic rights and liberties, it cuts a very sorry figure, tainting the image of the profession as a whole.